High stakes poker player and famed Cirque du Soleil owner Guy Laliberté has built his company from the ground up into a multi-billion dollar entity over the past 30 years. But now, it seems that Laliberté is interested in cashing out and selling a large portion of Cirque du Soleil. The Canadian billionaire owns 90 percent of the company and was initially looking for somebody to purchase a minority stake. However, TheGlobeAndMail.com reports that he’s now interested in selling the bulk of his 90 percent controlling interest. Laliberté intiially attracted a number of potential investors, but many of them have been scared off after examining the company’s “deteriorating financial condition.” Caisse de dépôt et placement du Québec is one investor that’s stuck around, however, they only want a 10 percent stake at most and would like to join a winning bid. Caisse’s concern is that the company’s shows are struggling and they need a large amount of capital to spark a turnaround. Goldman Sachs, which is running the auction, has valued Cirque du Soleil at $2 billion. However, it’s a wonder if the sale price will come anywhere near the valuation when considering the shaky financial status of the company. Investors have been given one week to come up with an offer for Laliberté. Assuming Laliberté does fetch a decent price for his company, it’ll be interesting to see if he returns to the online poker tables again. The Montreal native is considered the biggest online poker loser in history with $25 million in losses, which is even more than Gus Hansen! Laliberté left poker with a bad taste in his mouth, not only because of the losses, but also because he believes that he was cheated by high stakes pros. As I discussed before, Laliberté says that certain players were using endless funds given by FTP, and they would inflate pots by betting big. 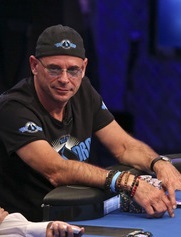 Given that Laliberté was already at a disadvantage, players pumping up the pots would cause him to lose more. 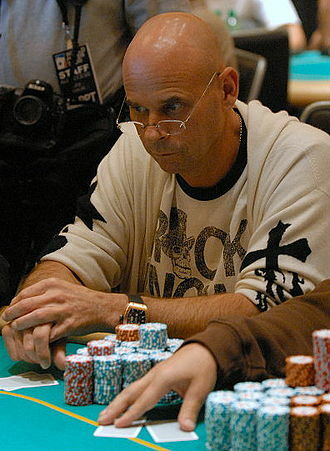 In any case, this was years ago, and Laliberté is still very much involved in poker, having spearheaded the $1 million WSOP Big One for ONE Drop. So regardless of whether he plays online again, he will at least be playing some live tournaments and helping drive the WSOP Big One. When Gus Hansen parted ways with Full Tilt Poker back in November, all kinds of rumors and questions began to surface. Would he play poker again? Is Hansen broke? Does he hate Full Tilt? Hansen added that the reason why Full Tilt got rid of him and Viktor ‘Isildur1’ Blom is because they are going in a different direction to catch their “big brother” PokerStars. He also said that Full Tilt didn’t have the budget to keep paying Hansen and Blom as sponsored players. Whatever the case may be, it doesn’t look like the Great Dane is too affected by the loss of his sponsorship deal. He’s already got big plans for this year, which include a trip to the 2015 WSOP. Hansen has just three WSOP cashes in the last four years – and none in 2014 – so it would be nice to see him give the event his full attention again. Another live tournament stop that he’ll be making is the EPT Monaco event. Eventually, Hansen would like to play online poker again, though not at the stakes that he’s accustomed too. Hansen mentioned playing 2/4 and 5/10 Pot Limit Omaha, but not in the immediate future. Instead, his future plans center on playing a bridge tournament in Iceland and a squash tournament in New York. And low-limit PLO games may soon follow after this. It’s only been a few days since Full Tilt dumped Gus Hansen and Viktor Blom. And already the online poker site has debuted their new marketing approach, which seeks to appeal to the average person, rather than skilled players who actually care about pros. Anybody who previously read about Full Tilt’s move away from “Pro-centric advertising” shouldn’t be surprised at the angle that these commercials take. Dubbed “The Call” and “The Bluff,” these new ads are pro-free and feature amateurs trying to make important decisions. Blom, Hansen and Tom Dwan were signed to be Full Tilt’s Professionals after the site’s post-Black Friday launch in late 2012. Dwan was eventually dropped by FTP in late 2013 while Isildur1 and Hansen remained with the team. However, almost one year later, they are both gone too. Anybody who’s searching for reasons why need look no further than what’s currently happening in the online poker industry. Few sites see the use in having sponsored pros wearing their patch, given the heavy focus on recreational players. So offering lucrative contracts to players like Blom and Hansen is an archaic business model in today’s poker world. An additional reason for getting rid of their remaining sponsored players is likely their recent performance. After bursting on to the internet poker scene in late 2009, Isildur1 has failed to recapture the magic he had back in those days. Currently, HighStakesDB shows Blom as being over $3 million in the hole at Full Tilt. Of course, this is nothing compared to Hansen – perhaps online poker’s biggest loser ever (close competition with Guy Laliberte). The Great Dane has over $20 million in losses, and his graph shows a consistent downward spiral since the relaunch of Full Tilt. So if the industry trend wasn’t already against these two, their lackluster results didn’t exactly convince FTP that they couldn’t do without Blom and Hansen. And don’t expect any more big signings to fill these guys’ void. Earlier this week, Cirque du Soleil owner and high stakes poker player Guy Laliberte told Le Journal De Montreal that he was essentially cheated at Full Tilt Poker. “The story of Full Tilt is clear: I got scammed, squarely, by people I knew personally who used unfillted bank, paying no money. A TwoPlusTwo thread quickly opened up on the matter and it already contains a sizable number of posts. First off, nobody knows exactly what to make of Laliberte’s statements because A) they are a little vague, and B) most 2p2 users speak English and are only getting the google-translated version. But the general debate here revolves around whether or not playing with an unlimited bankroll is considered cheating, at least when the whale in question doesn’t know about it. If we are not talking heads up matches but fill ring tables where multiple people shove in a hand (all in) with him being in that pot and everyone sharing equity. He got ripped off and that is morally wrong to be doing that to someone. He is definitely not a sucker for having that happen to him and I can see why he would be mad, even if the money doesn’t matter to him. Reverting back to the unlimited bankroll topic, many TwoPlusTwo posters have gone back and forth about this one. Some believe that Laliberte would’ve lost anyways since he was competing against the best. So if they were merely borrowing fake money from FTP, it doesn’t matter because they still won. Some have even likened it to the Andy Beal situation, where he took on “The Corporation,” a group of elite pros who pooled their bankroll to play at stakes as high as $50k/$100k. But the difference here was that Beal knew full well what he was up against. Laliberte, on the other hand, likely had no knowledge that he was competing against players with a near-infinite bankroll. That said, he probably thought that his massive reserves of money was one of his advantages, just like Beal did several years earlier. It’s hard to say for sure where the moral line lies in Laliberte’s games against some of poker’s best. Moreover, we should also consider that maybe not everything Laliberte assumes is the truth, and he could’ve simply been beaten by better players. 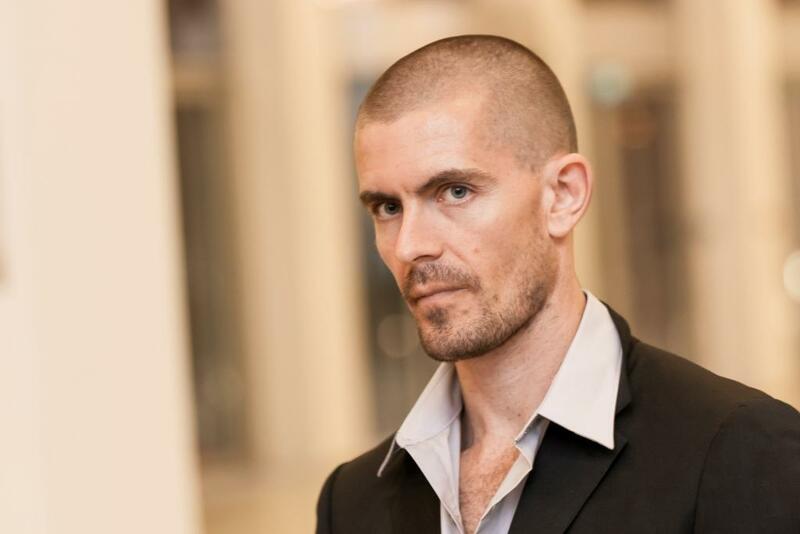 With over $10 million in online poker losses over the past year, Gus Hansen is spiraling out of control. The sad thing is that the losses just keep coming too since he’s dropped around $2.5 million in the last month alone. So what’s the reasoning behind this maddening online poker losing streak? Will Hansen ever give up the game – or at least the ridiculously high stakes he plays? The Great Dane revealed all of this and more in a recent interview with FlopTurnRiver (see below). 1) He’s been rusty after taking a year and a half off of online poker following Black Friday. Plus he plays against the top players in the world. 2) He hasn’t played his A-game and sometimes has distractions in the background like the TV. 3) He’s run really bad over the past year. Hansen went on to say that he continually chooses to compete against the world’s best players because he learns things from them. However, the Great Dane is starting to ponder stepping down the intense level of competition if things don’t turn around in the near future. One aspect about Hansen’s financial situation that may amaze people is how he still has money left to play. He admitted that he’s “not Bill Gates” and can’t afford to keep losing at this rate. However, Hansen does say he “still has money in his pocket” and implied that he’ll keep playing high stakes online poker while trying to turn things around. Continually running up against “Sallywoo” and “Alexonmoon” doesn’t exactly seem like a recipe to reverse Hansen’s fortunes. So resisting the temptation of competing against these players is going to be one of his biggest challenges. 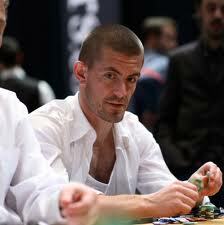 The poker world is well aware of how badly Gus Hansen has struggled in online poker. The man who first made his mark by winning three WPT titles in less than a year has yet to see the same success in online cash games. His swingy play has left him down over $10 million in online poker, which only trails Cirque du Soleil founder Guy Laliberte, who’s reportedly lost $17 million. Hansen recently sat down for an interview with PokerListings to discuss his downswings and how it’s affected him personally. When asked about how he sleeps after winning millions, then losing millions, Hansen said, “I sleep better after a big win than after a big loss, I think that’s no secret. But yes, I’ve been doing a lot of losing lately and I’ve been frustrated. Hansen continued by saying that his losses sometimes keep him up at night. It’s his belief that even though his online poker results look bad, he’s still doing fairly well overall. The Great Dane concluded the interview by saying that he’s played well in the live Macau cash games. So despite what his online poker graphs may suggest, he’s still finding ways to experience poker success through other outlets. The 2013 World Series of Poker is one-third of the way finished and almost all of poker’s biggest names are in attendance…the keyword being “almost” every star player. Gus Hansen has been one of the most notable absentees from the 2013 WSOP thus far, and he’s got a very good reason for missing the early portion. A couple of weeks ago, the Great Dane was in Macau to play the HK$1 million (US$130,000) buy-in GuangDong Ltd Asia Millions Main Event. After finishing up at the 2013 GDAM, Hansen was all set to travel to the United States for the WSOP. But there was just one problem – he lost his passport. As PokerNYHederne reported, Hansen was traveling in a Hong Kong taxi and somehow lost his passport in the cab. Unable to recover this important document, the Danish poker star was prevented from flying to the US. He passed the time by playing high stakes FLO8 and 2-7 Triple Draw games at Full Tilt Poker and making $176,696 in profits. After a week of being stuck in Hong Kong, Hansen obtained a new passport and has finally departed for Las Vegas. Now he’ll have a chance to build on his very impressive career, which includes $11,210,072 in live poker tournament winnings – $1,192,748 of which has come through WSOP cashes. In proportion to his overall tourney winnings, Hansen’s single WSOP gold bracelet isn’t that great. So earning another bracelet will definitely be on the Dane’s mind when he takes the felt at the Rio. Of course, you can’t measure Hansen’s career in terms of bracelets since he has some other very notable accomplishments. He became the first man to win three World Poker Tour titles, doing so in less than a year’s time. Plus Hansen’s $11.2 million in tournament earnings rank first on Denmark’s all-time list, which is no small feat when you consider that 2008 WSOP Main Event champ Peter Eastgate ($11.13 million) is also Danish. From 2009 to 2010, Gus Hansen became this lovable sort of online poker loser that just couldn’t stop spewing millions. It got so bad at one point that many people questioned his decision to keep battering his bankroll and reputation against the top online players. After hitting rock bottom in August of 2010 – when he’d lost over $9.2 million – Hansen magically started getting better. Okay, so maybe it was more hard work and perseverance, but the point is that the Great Dane suddenly became this elite player. While taking on some of the world’s best high stakes PLO players, the Great Dane managed to rack up over $6 million in winnings from September, 2010 to June, 2011. He was the talk of the poker world too during this incredible run, and many players thought that Hansen had finally conquered the game. Unfortunately, Gus’ great run came to an end when Full Tilt Poker lost their license in June of 2011. With much of his bankroll wrapped up on the site, Hansen was forced to stop playing high stakes online games for a while. But after 16 months of being stagnant, Full Tilt has their license back and Hansen is on the tables again. Sadly this hasn’t really been a good thing for Gus because he’s dropped over $2 million in less than a month. It’s difficult to pinpoint what the exact problem is right now, but it is clear that Hansen isn’t showing the same dominance he displayed in late 2010/2011. And now his overall losses sit at around $5.2 million, which is among the worst in poker history. Hopefully Gus Hansen can find what made him so great last year again, but he’d better do it quick because the losses are mounting! What began as a vision several months ago has become reality since the WSOP $1 million buy-in tournament is definitely going to happen from July1st-3rd. Dubbed “The Big One for One Drop,” this tourney already has 30 players confirmed with some of the biggest names in poker having made a commitment. But before we get into the confirmed players, it’s worth mentioning that this tournament is already guaranteed to set two records. First off, the WSOP $1 million buy-in tournament will feature the biggest buy-in ever; the previously largest tourney was the $250k Aussie Millions High Roller. As for the second record, the 30 confirmed players and interesting prize pool distribution will see the winner walk away with almost $12.3 million of the prize pool. Assuming this happens as planned, it would easily beat the $12 million that Jamie Gold received for winning the 2006 WSOP Main Event. 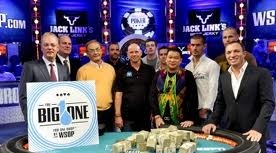 With such a massive prize involved, it’s no wonder why the top names in poker will be entering this event. 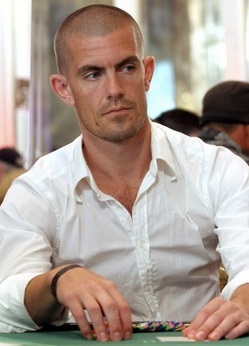 Some of those confirmed include Gus Hansen, Patrik Antonius, Erik Seidel, Daniel Negreanu, Johnny Chan, Tom Dwan, Tony G, Dan Shak, Bertrand “ElkY” Grospellier and Jonathan Duhamel. In addition to this stellar lineup of players, there will also be some prominent businessmen joining the tourney. These guys include Guy Laliberté, Bobby Baldwin (former player too), Phil Ruffin, Andy Beal, Sean O’Donnell, Richard Yong, Paul Phua and Arnaud Mimran. The Big One for One Drop will see 10% of the buy-ins go towards Laliberté’s One Drop foundation, while a little under $27 million is available for the actual tourney. We still have plenty of time before July 1st, so both the number of participants and prize money could grow before the tournament starts. But even if it stays the same, we’re still in for quite a special event come WSOP time!